My daughter came down at the end of the evening with her guitar. “Do you think you could help me,” she asked looking a bit sheepish as she came down. “With what,” I asked a bit puzzled. Hannah sits down, puts her capo – a sort of clamp that gives you the opportunity to play like it’s the normal, open strings, but higher. She’d put the clamp on the 5th fret of the guitar and started to play and sing. The song was poignant, started sad, and seemed to have some hope to it at the end. It was short, just a bit too short. She looked up, I think expecting I’d criticize or tear her song apart. But that wasn’t the case at all. It was a beautiful piece of songwriting, she just needed something. It took me a few minutes to get into the swing of her playing. 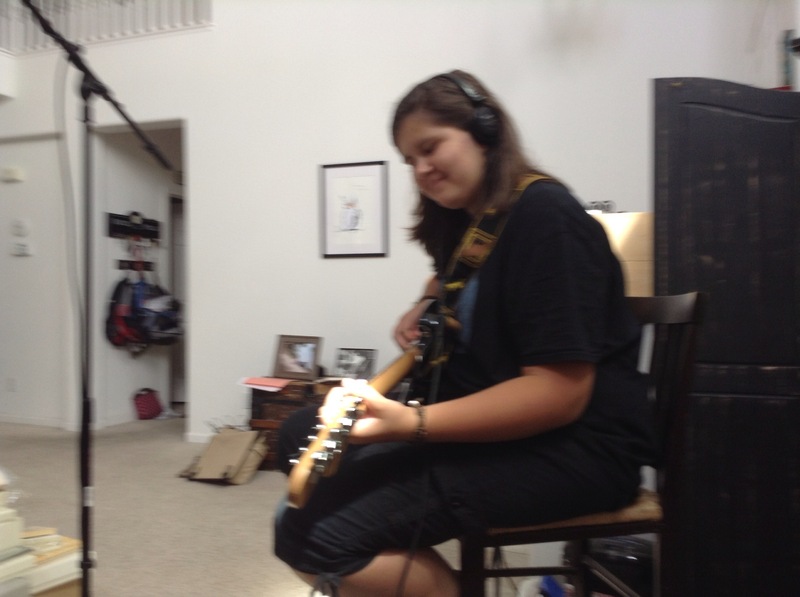 Hannah has a tendency toward either punk or singer-songwriter angst-filled material. This was a bit more melodic than her usual fare. 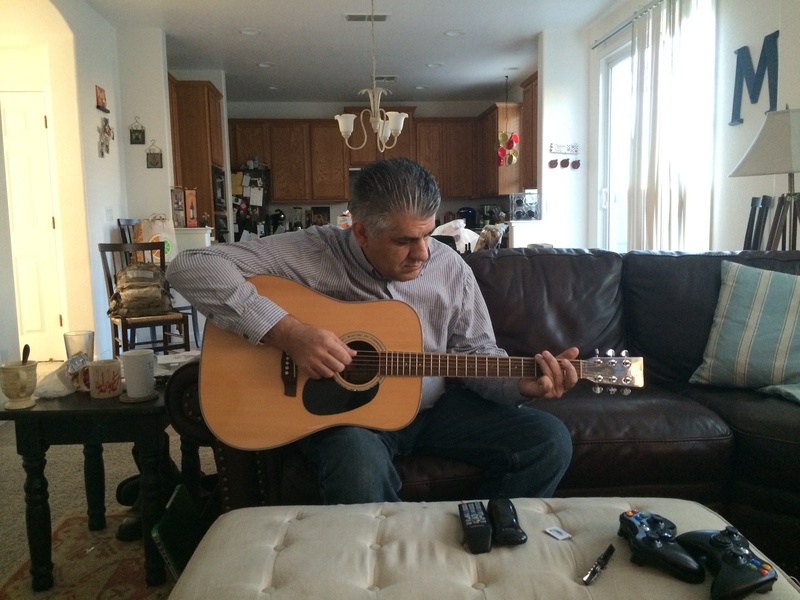 She started to play along and I started to accentuate the chords with some finger picking of my own. “I like that,” she says, adding she wants me to play a solo. “I think you need a bridge,” I tell her, and then start to work the chords that would go from the 2nd verse and create a bridge before her 3rd verse. “Glad I could help,” I tell her. “Yeah, I guess everything starts with Mom lately.” But she adds that the song quickly diverts from that. It’s like it’s her starting point, life beginning anew again after the fast, destructive burnout three years ago. Like a phoenix burning up and being reborn, if you’ll pardon the cliche’d reference. It’s not hard to see why she’d do this, her mother passed away in 2011 and it’s been a lot of adjustment for her. But we finish the bridge and the rhythm and I inform her she just needs to write some lyrics for the bridge. “Can we record it once it’s finished,” she asks me? “I want you to do it with me,” she says. Reluctantly, I agree. Sure, I’ll help you I tell her and she smiles bigger than she has all night. “It’s like Lennon and McCartney,” she tells me. She smiles and walks up the stairs . . . and I think to myself . . . her mother would be proud, too.